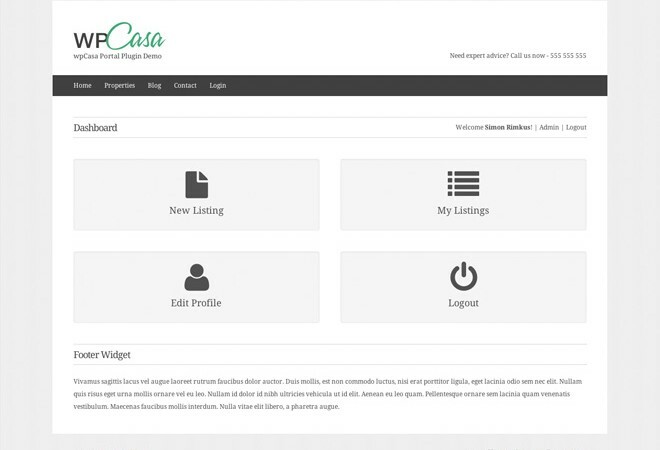 The forms fit perfectly the design of the template you are using (compatible only with wpCasa or any of the wpCasa Child Themes), with all the cleaning wpCasa designs. When you publish a listing from wpCasa Portal, it is generated in draft or pending status, so that the administrator give his approval before final publication. From the linsting creation form we not miss any feature of native administration area of WordPress, as they are implemented the image gallery management, taxonomy management, geolocation, etc..
Of course the development of this plugin goes ahead and interesting features will be added soon. As always, we’ll have into account the views and suggestions of the users in order to improve the product and adapt to market needs.